Following in the footsteps of tech and social media giants such as Facebook, Twitter, and Google, Snap Inc has partnered with a third party offline data provider called Oracle Data Cloud according to the Wall Street Journal. This partnership will allow Snapchat advertisers to access data about what users buy offline in order to more accurately target ads. 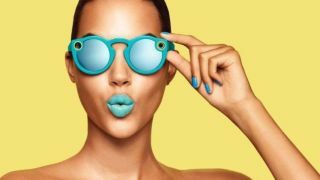 Now, however, Snap Inc has to do all it can to guarantee that its stock is worth buying when it goes public later this year. Such an advertising approach is a good way to do so because it should make Snapchat a more attractive option to advertisers as targeted adverts are more likely to earn more per view. Fortunately, if this kind of advertising doesn’t sit well with you whether because you consider it invasive or because you’re just incredibly susceptible, Snapchat is giving its users the ability to opt out. It’s already started rolling out the changed adverts so you’ll be able to change it now. To do so, simply go into the settings section within the Snapchat app, go to Manage Preferences, select Ad Preferences and switch off the Snap Audience Match function.